If you spent this weekend at an orchard engaging in one of the quintessential American Fall pastimes - apple picking - you might be staring at your haul in a bit of horror. How, you might be thinking, does one get through enough apples to feed ten horses? What, you might be saying to yourself, was I thinking? Well, enough of these horror-ful speculations. You know you'd do the same thing if you went back to an orchard next weekend. Who can say no to bountiful apple trees?! Thankfully, since it's apple season, it's also the season for applie pie and apple sauce and all manner of crisps and crumbles (always to be accompanied with some mulled cider of course). And this crisp is everything you want it to be - sweet, crunchy, warm, and, above all, super - and I mean really-really-super - easy! 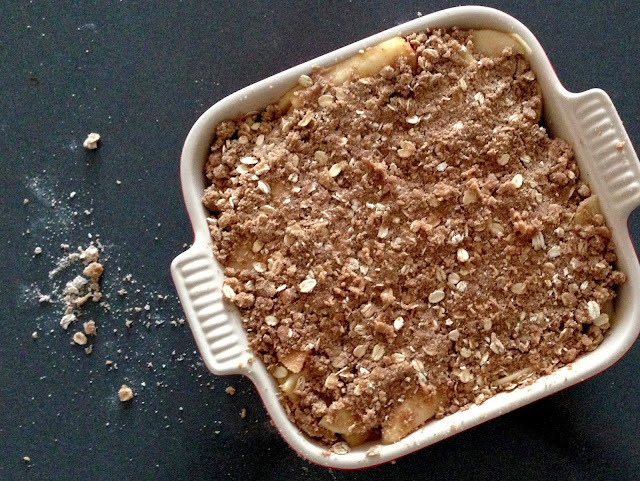 All it takes is a little flour, some oats, a bit of brown sugar and a few of your favorite fall spices - the apples do the rest. Peel and core the apples, and slice them thinly. The thinner the better, so that they cook down well. Mix together the oats, flour, brown sugar, and spices until they become crumbly. 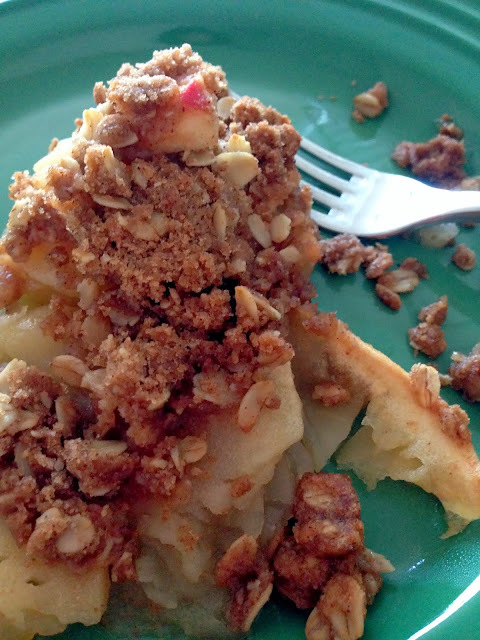 In your pan, mix together the apples with white sugar and lemon. Pat the crumble mixture on top, and bake, It's really that simple. 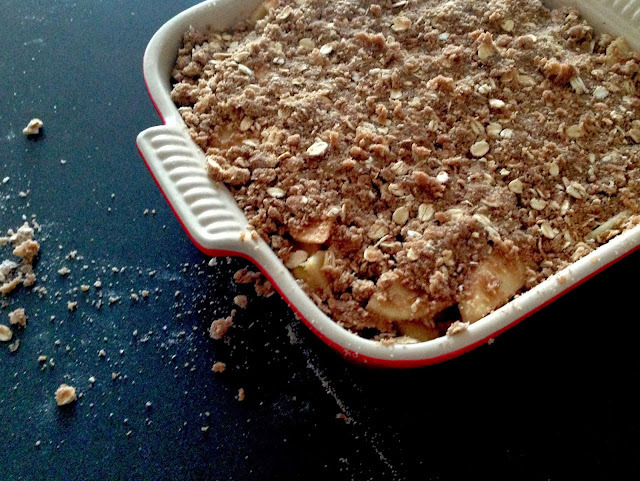 The apples bake down into silky lusciousness, the oats crunch up into a crisp to beat all crisps, and served with a nice scoop of your favorite vanilla ice cream, it's the perfect dessert after a heavy day of apple picking. Sit back. Relax. Dig in. Preheat oven to 350. Lightly grease an 8-inch square pan (no need to do this if using a non-stick pan like I did). 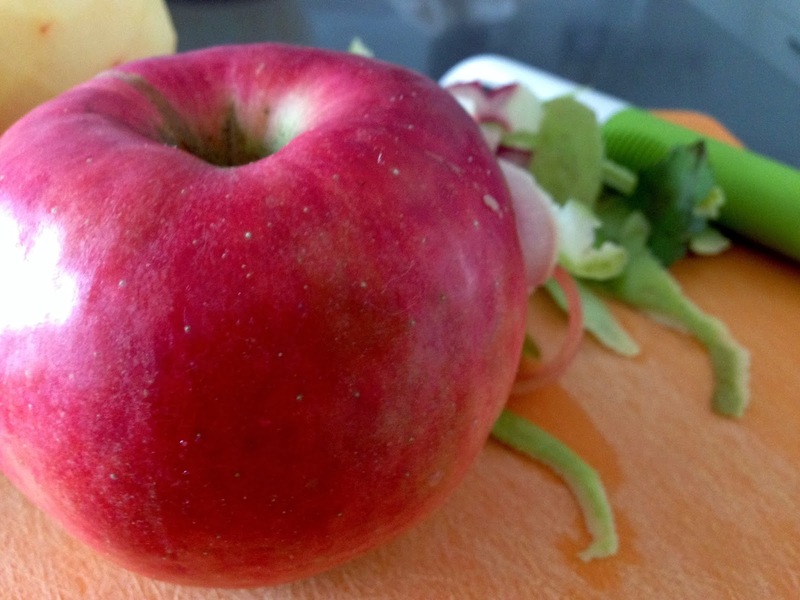 Peel and core 3 large baking apples (like Cortland or Crispin) and slice thinly (the thinner the better). Pour the apple slices into the prepared pan and sprinkle with 2 tsp lemon juice and the white sugar. 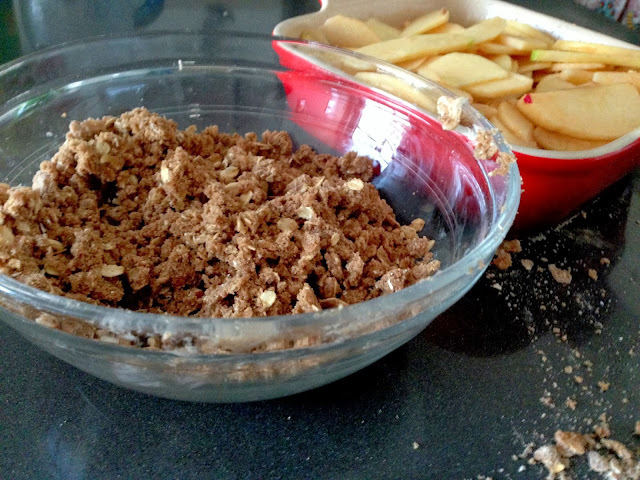 Mix so that all the apple slices are coated. In a large bowl, combine brown sugar, oats, flour, butter, and spices until you get a crumbly mixture. Pat the crumble mixture on top of the apples.